We have put together a list of 8 beautiful feminine WordPress blog themes for female entrepreneurs to use today. We can all agree that having a great website will attract more readers (traffic), more work from brands and other businesses and it will help you grow your business way faster. 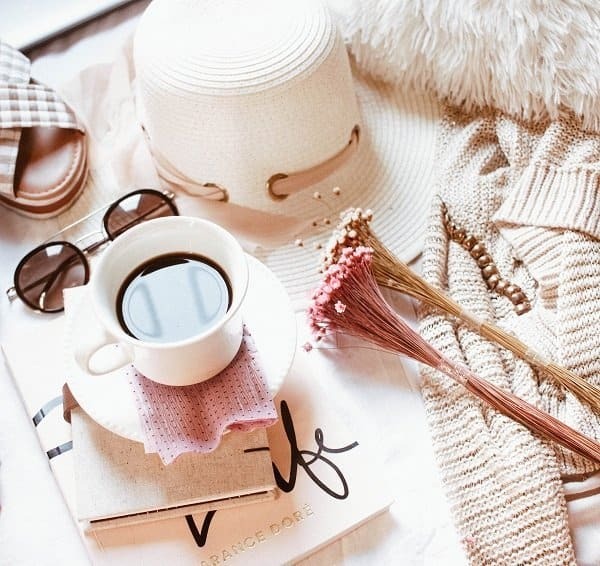 My wedding website and Travel blog all have beautiful feminine WordPress blog themes that attract our ideal clients, work from brands and they are well optimized. This means that they capture about 100 emails a day from brides, vendors, and brands that want to work with us. This is all done without much promotion from me. Before we get started on places you can find absolutely amazing feminine WordPress blog themes for your business, we would love for you to join our growing Facebook group right here! You can also join our Pinterest group by scrolling to the bottom of this page! If you are looking for guest blogging opportunities or if you need a personal affordable coach to take you from A-Z, we can help you. Get all the juicy details right here! Have you seen our brand new shop! We also wanted to take the opportunity to let you know that we use Affiliate links on some of our blog posts. This means that we could make a commission if you click on an affiliate link and purchase something. Please check out our full disclaimer and policy page here. As you can see, having a great blog theme is essential to your success. 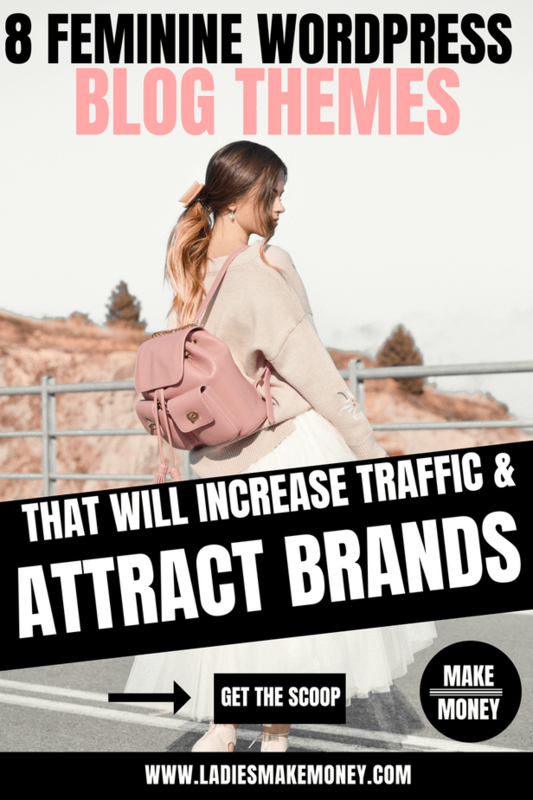 Branding your business is what will set you apart from other bloggers in your niche and this, in turn, will attract more work for you which means more money. 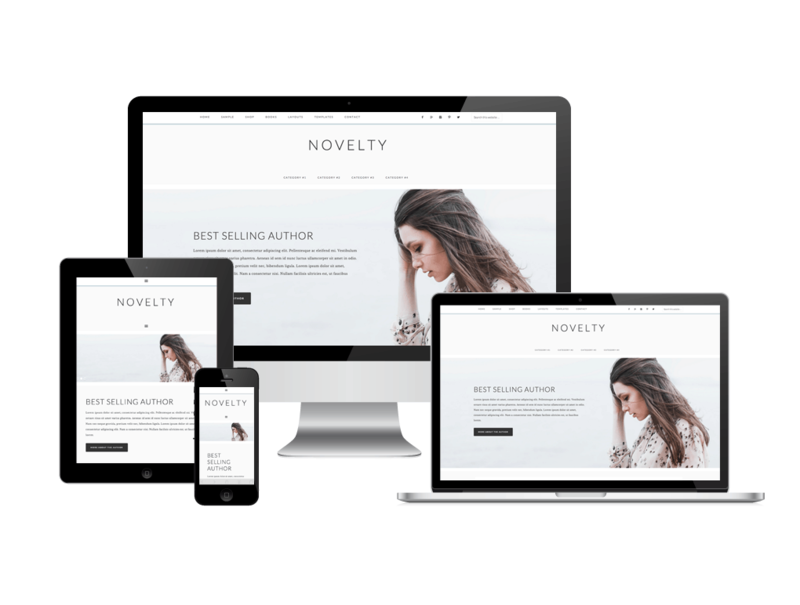 You can absolutely choose to go with free cute WordPress themes, especially when you are starting out. However, these free cute WordPress themes that everyone seems to go for might not have all the style and design to properly run your blog. This will eventually lead you to add more plugins (which slows down your site), or having to purchase other things to keep your blog functioning. 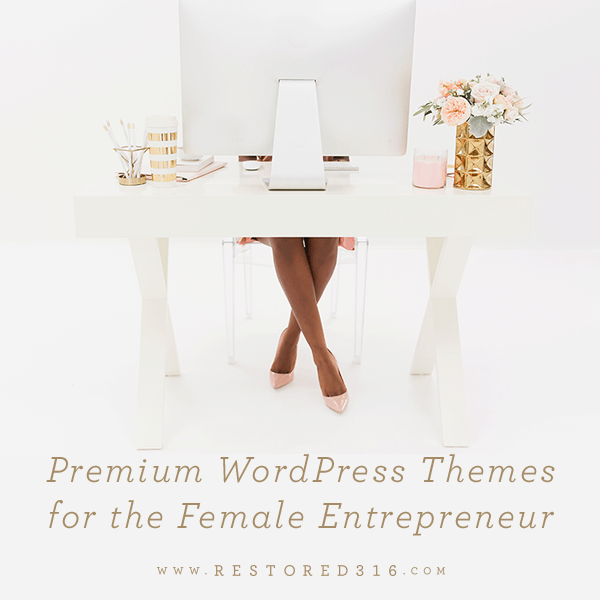 We opted to invest in a few functioning feminine WordPress blog themes for all our blogs in order to get a head start. As much as we fell in love with the other free cute WordPress themes out there, we just wanted better. This doesn’t mean you shouldn’t opt for free. The Mary Kate WordPress theme and the Sugar and Spice WordPress theme is very popular. 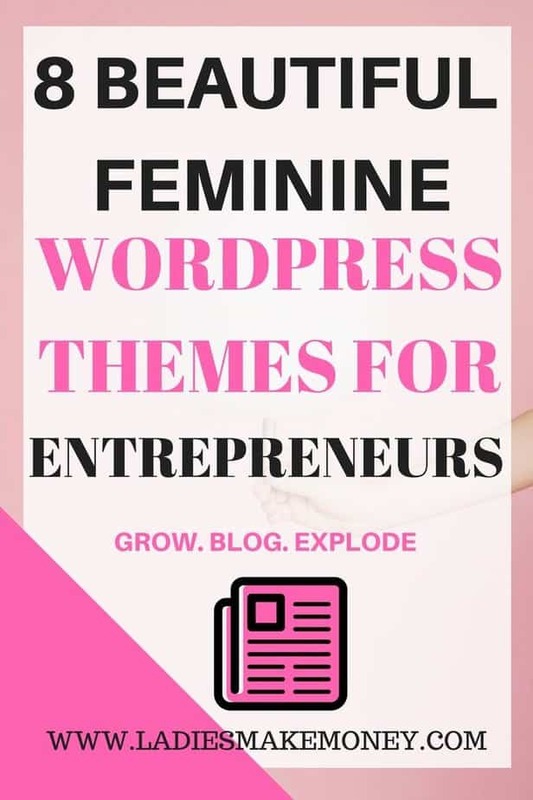 Another reason we opted not to go with the free cute WordPress themes and opted to move all our blogs to solid paid feminine WordPress Blog themes is the free themes was just overly saturated. Every new blogger seemed to have these themes. And when it came to standing out it just did not look good for us. Using romantic feminine WordPress blog themes is perfect for bloggers trying to target the female demographic. If you are in the Mommy Blog, personal lifestyle, fashion, beauty or any niche targeting women, any of the themes below would work. And they are totally affordable. 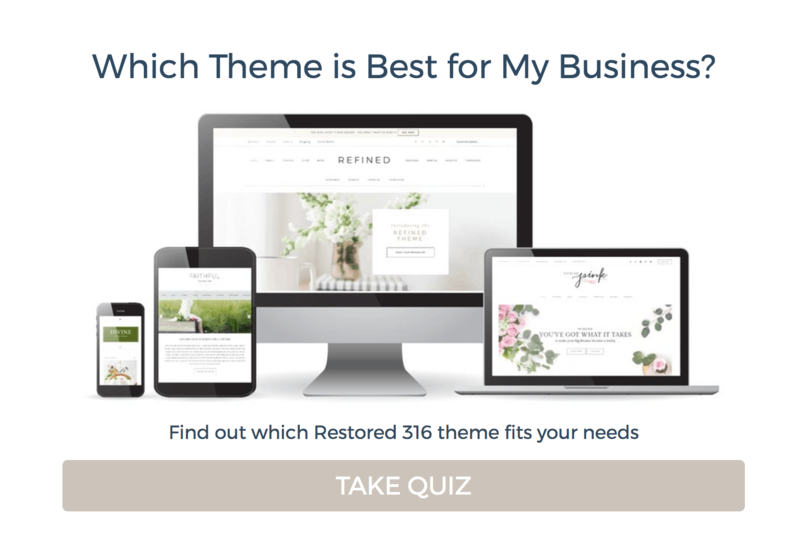 If you are not sure what Feminine WordPress blog themes might work for you and your business, scroll to the bottom of the page to do a quiz. It will determine what the best fit is for you and your business based on your answers. It will take into consideration what you want to achieve with your blog, long-term goals and the overall brand you want. 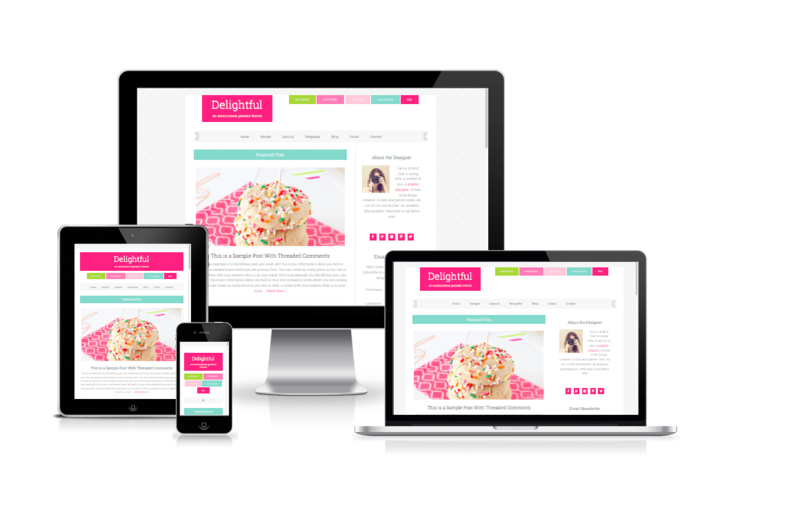 You can learn more about the Dazzling Feminine WordPress blog themes collection right here! (Click the image below). I find this theme completely refreshing, airy and approachable. 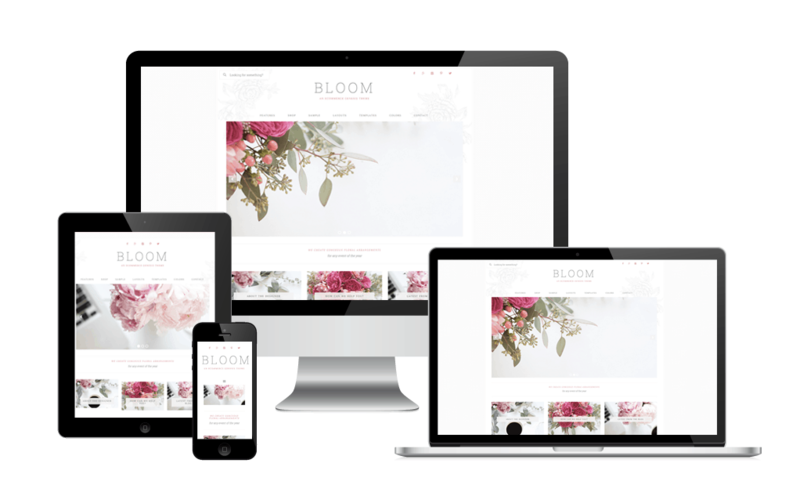 You can learn more about all the Bloom Feminine WordPress blog themes collection right here! (Click the image below). This one is absolutely romantic and very flowery. 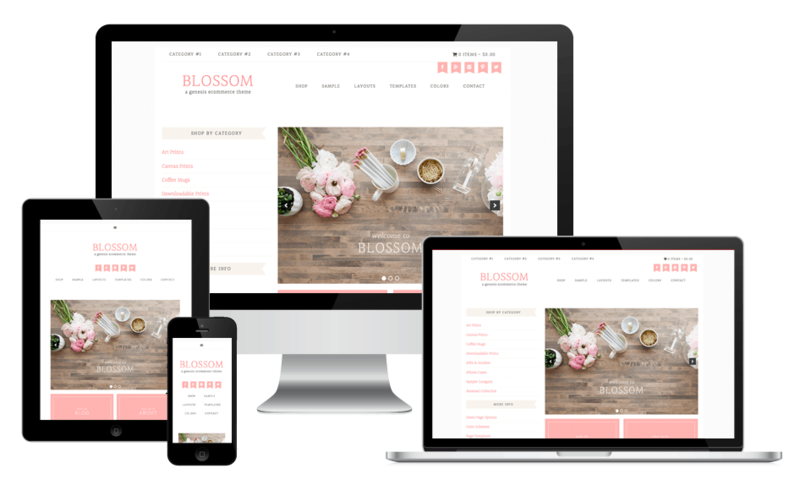 You can learn more about the Blossom Feminine WordPress blog themes collection right here! (Click the image below). This WordPress theme would be perfect for a Food Blogger. You can learn more about the Simply Charming WordPress Blog themes collection right here! (Click here). 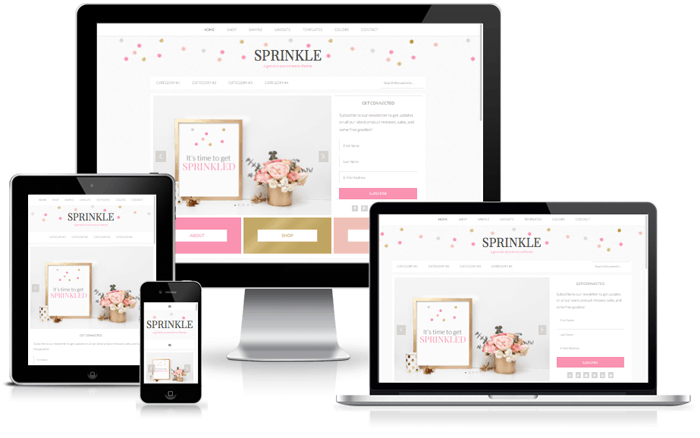 I like the Sprinkle WordPress theme for wedding blogs, wedding photography, and lifestyle blogs. Learn more about the Delightful feminine WordPress blog themes collection. (Click the image below). This one will definitely work for a lifestyle blog. 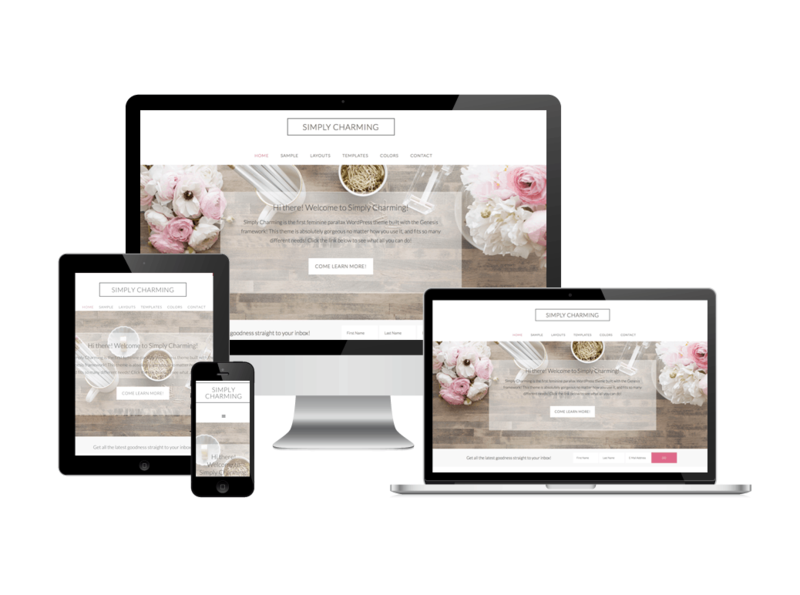 Find out more about the Simply Charming Feminine WordPress Blog themes collection right here! (Click the image below). This could work for any female niche inspired business. 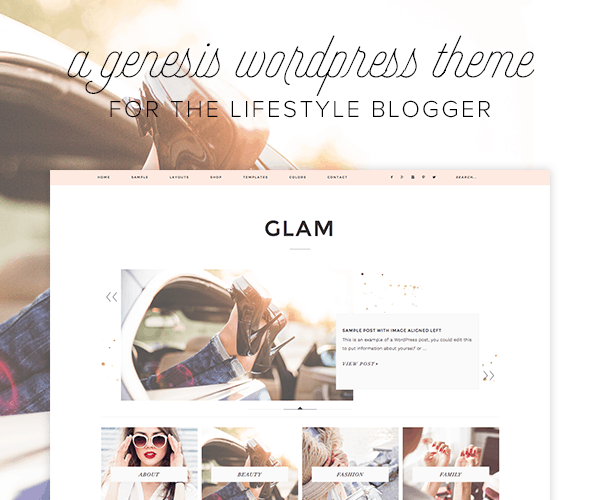 Learn more about the Glam Genesis feminine WordPress blog themes right here! Click the image below. A lot of lifestyle bloggers like to work with the Genesis platform. If you are one of theme, you should consider this WordPress theme. There you have it. The Glam Genesis is totally amazing. But that our complete list of Feminine WordPress blog themes that are completely geared towards the female audience. Which one did you like the most? If you are not sure what themes suits your personality or style? Take the quiz. We recommend giving your website a fresh upgraded look very often. At least every two years or so. You can either purchase the theme and upgrade it on your own or have the team at Restored 316 do it all for you. It’s a good idea to give your site a new look once in a while. A simple change can make a huge difference in running your business. Brands and clients will take more notice of you and your business if you have a fresher look! You will open up doors for more opportunity and it’s a chance to boost yourself and your biz! Remember, your blog theme can make or break your blog in an instant. A blog theme is the overall appearance of a blog – where your posts show up, how your sidebar looks, where your logo sits, the fonts, the way your page menu works and much more. Ensure you are using the best theme that is also functional. Did you enjoy the post? Be sure to PIN IT here. You can find more blogging tips here. When I updated my wedding blog theme to one of the more professional Feminine WordPress blog themes, I started getting brands emailing me to work with me. No, I didn’t have lots of followers on Instagram or insane page views. It was the way my brand came across. Keep this in mind. If you enjoyed our blog we would like to have you join our email list and receive weekly money-making tips, you can join now! Don’t forget to join our Private Facebook group. The page is created to share your work, pitch your services and learn from other experienced bloggers! Our Blog Policy can be found here. I blog often and I truly appreciate your content. The article has truly peaked my interest. fantastic post, very informative. I wonder why the other specialists of this sector don’t notice this. You should continue your writing. I am sure, you have a great readers’ base already! Hi, Nice theme design. thanks for sharing.